My kiddos love playing card games. This one will not only help them practice their decoding skills, it also supports their learning about adjectives and understanding that vocabulary through opposites… a huge help for English language learners. I really like using quick readers in class. We usually do them as a whole group activity first. Then I use them again with my below level reading group. I also put them out as an independent activity for my kiddos who are at and above grade level. These two readers support adjectives and fluency standards. A HUGE hit in our classroom are the sight word board games. In this resource I’ve included a board complete with the words that we are practicing in my class right now as well as a “blank” board so that teachers can input any words they choose to be practiced. As always, I’ve included a complete writing lesson. This narrative lesson includes step-by-step directions, all you need for the writing plan, final draft and an adorable culminating activity craft. 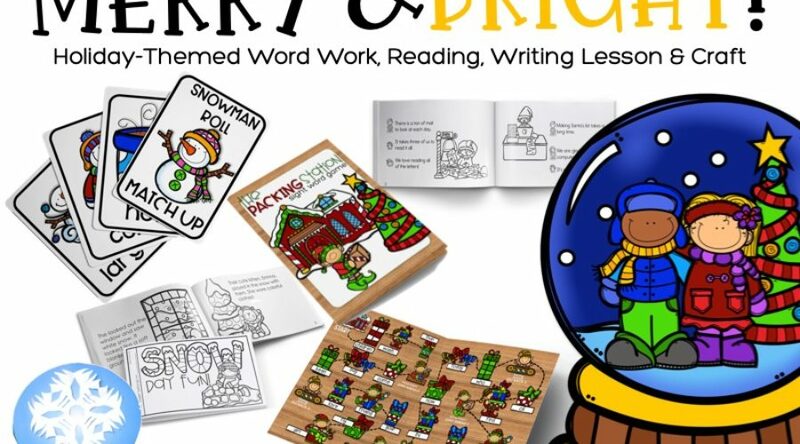 You can find Merry and Bright in my TpT store. My kiddos truly enjoy it and love that it adds a little more rigor with a lot of fun. Yay for meaningful engagement!